Mathias G. Chaplin is a 1978 graduate of Walterboro High School. He graduated from The Citadel in 1981 with a Bachelor of Science degree in Chemistry. 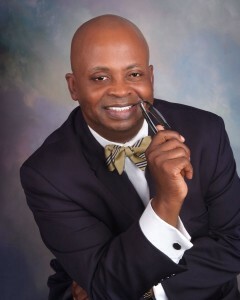 In 1987 he graduated from MUSC in Charleston, SC with a Master’s Degree in Health Administration. After a successful career in healthcare, he obtained a Law Degree from Golden Gate University in California. He then opened the Law Office of Mathias G. Chaplin, PA with offices in Columbia,SC. If you need an aggressive and knowledgeable attorney in the areas of DUI Defense, Criminal Defense, Personal Injury/Auto Accidents, Family Law or Business Law, please contact me today for your personal consultation. Benefit From the Technical Expertise of an Attorney that is also a member of the American Chemical Society. Advancements in science and technology have changed every aspect of our lives. It wasn’t too long ago that we used to have telephone booths. Now mobile phones have made them relics of an ancient era. In the past, no one had a personal computer. Now, almost every cell phone has massive computing power. Criminal justice has also been affected by changes in science and technology. DUI and DUI drug cases are particularly tied to forensic results which I understand.